I had the opportunity to participate in New Bern’s Neuse River Bridge run this past weekend. While I didn’t set any records, I did get the opportunity to run across the Neuse River Bridge, a mile bridge that rises to feet. 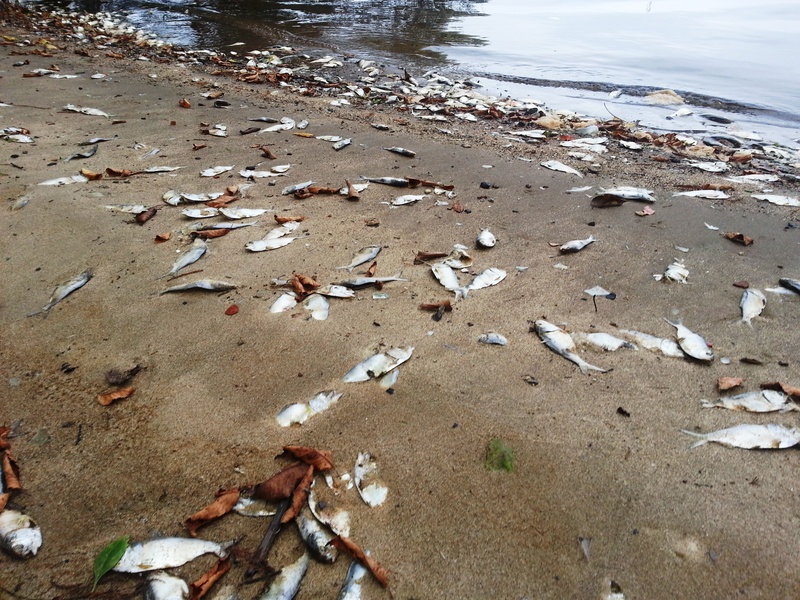 While I was laboring over the rise, I was able to look out at the thousands, if not millions, of dead menhaden that were floating in the estuary. Normally, this race gives runner’s an opportunity to take in beautiful views of a fall day, a scenic town, and an inviting river. Race day 2013, however, will be remembered for dead fish and the smell associated with their decomposition. In spots, it was gag-inducing. According to news reports, these conditions have been present since early October in both the Neuse and Tar-Pamlico estuaries. The cause, according to state scientist, is a mold affecting the fish. Others believe low oxygen, due in part to excess nutrients, are contributing to the kill. If the latter is true, it’s an indicator of an ecosystem that’s out-of-balance.